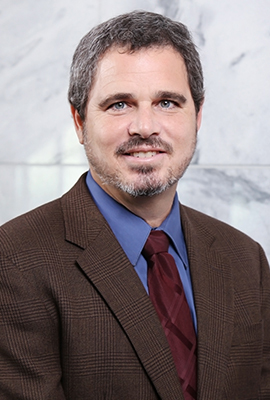 Gregg D. Polsky joined the Georgia Law faculty in 2016 as the Francis Shackelford Distinguished Professor in Taxation Law. Polsky teaches and writes in the areas of federal income tax and business law. He is the co-author of the casebook Federal Income Taxation: Cases and Materials. His recent law review articles include “Acqui-hiring” in 63 Duke Law Journal 281 (2013) (with J. Coyle) and “Taxing Punitive Damages” in 96 Virginia Law Review 1295 (2010) (with D. Markel). Polsky has also published influential research on private equity tax practices that has been profiled in The Wall Street Journal and cited in The New York Times. Before joining the Georgia Law faculty, he was the Willie Person Magnum Professor of Law at the University of North Carolina School of Law. He has served on the law faculties of the University of Minnesota and Florida State University, and he has visited at Duke University and the University of Florida. In 2007-08, Polsky served as the Professor in Residence in the IRS Office of Chief Counsel in Washington, D.C. Prior to entering the legal academy, Polsky worked as an associate at the Miami office of White & Case, where he specialized in tax and business law. He earned his Bachelor of Arts from Florida Atlantic University and his Juris Doctor with honors and his Master of Laws in Taxation both from the University of Florida. Explaining Choice-of-Entity Decisions by Silicon Valley Start-Ups, 70 Hastings L.J. 409 (2019). Taxing Litigation: Federal Tax Concerns of Personal Injury Plaintiffs and Their Lawyers, 22 Fla. Tax Rev. 120 (2018). The Up-C Revolution, 71 Tax L. Rev. 415 (2018) (with A. Rosenzweig). Acqui-Hiring, 63 Duke L.J. 281 (2013) (with J. Coyle). Examining the Tax Advantage of Founders' Stock, 97 Iowa L. Rev. 1085 (2012) (with B. Hellwig). The Diminishing Returns of Incentive Pay in Executive Compensation Contracts, 87 Notre Dame L. Rev. 677 (2011) (with A. Lund). Taxing Punitive Damages, 96 Va. L. Rev. 1295 (2010) (with D. Markel). Taxing Structured Settlements, 51 B.C. L. Rev. 39 (2010) (with B. Hellwig). Deterring Tax-Driven Partnership Allocations, 64 Tax Law. 97 (2010). Reforming the Taxation of Deferred Compensation, 85 N.C. L. Rev. 571 (2007) (with E. Yale). Controlling Executive Compensation Through the Tax Code, 64 Wash. & Lee L. Rev. 877 (2007). Regulating Section 527 Organizations, 73 Geo. Wash. L. Rev. 1000 (2005) (with G. Charles). Taxing the Promise to Pay, 89 Minn. L. Rev. 1092 (2005) (with B. Hellwig). Can Treasury Overrule the Supreme Court?, 84 B.U. L. Rev. 185 (2004). Employment Discrimination Remedies and Tax Gross Ups, 90 Iowa L. Rev. 67 ((2004) (with S. Befort). Litigation Expenses and the Alternative Minimum Tax, 6 Fla. Tax Rev. 899 (2004) (with B. Hellwig). A Correct Analysis of the Tax Treatment of Contingent Attorney's Fee Arrangements: Enough with the Fruits and the Trees, 37 Ga. L. Rev. 57 (2002). There's a Problem With Buybacks, but It's Not What Senators Think, 162 Tax Notes 765 (2019) (with D.J. Hemel). A Compendium of Private Equity Tax Games, 146 Tax Notes 615 (2015). Private Equity Monitoring Fees as Disguised Dividends: Collateral Impact, 143 Tax Notes 1053 (2014). The Untold Story of Sun Capital: Disguised Dividends, 142 Tax Notes 556 (2014). Tax Consequences of Distributing Equity Compensation Rights in Divorce, Fla. B.J., (2014) (with J. Fisher, Z. Potter). The End of Cash, the Income Tax, and the Next 100 Years, 41 Fla. St. U. L. Rev. 159 (2013) (with J. Kahn) (symposium). Can Executive Compensation Reform Cure Short-Termism?, Brookings Institution Governance Studies Series (2013) (with A. Lund). Fixing Section 409A: Legislative and Administrative Options, 57 Vill. L. Rev. 635 (2012) (symposium). Rationally Cutting Tax Expenditures, 50 U. Louisville L. Rev. 643 (2012) (symposium). Revisiting the Taxation of Punitive Damages, 97 Va. L. Rev. In Brief 73 (2011) (with D. Markel). Reconstructing the Individual Mandate As an Escrow Account, 109 Mich. L. Rev. First Impressions 73 (2011). High Volatility, Negative Correlation & Roth Conversions, 130 Tax Notes 821 (2011). End Tax Floats by Taxing Receivables or Deferring Payables, 129 Tax Notes 1243 ( 2010) (with C. Johnson). Close the Yield Exemption Loophole Created by Childs, 123 Tax Notes 1141 (2009) (with B. Hellwig). The Employment Tax Challenge to the Check-the-Box Regulations, 111 Tax Notes 1039 (May 29, 2006) (with B. Hellwig). Stay Ahead of the Pack: Your Comprehensive Guide to the Upper Level Curriculum (West Academic Publishing, forthcoming 2018) (with R. Glicksman, D. Gray, A. Lund, E. Miller, and B. Wendel). Federal Income Taxation: Cases and Materials (Foundation Press, 6th ed. 2008) (with P. McDaniel, M. McMahon & D. Simmons).